There are always those who seek to contain and capture rare Pokemon-and there are those who would protect these special Pokemon from evil forces. Forty years ago that very thing occurred when Celebi found itself fleeing a vicious hunter, and a young Trainer named Sammy rushed to the rescue. They vanished-becoming yet another strange legend that the townspeople tell. 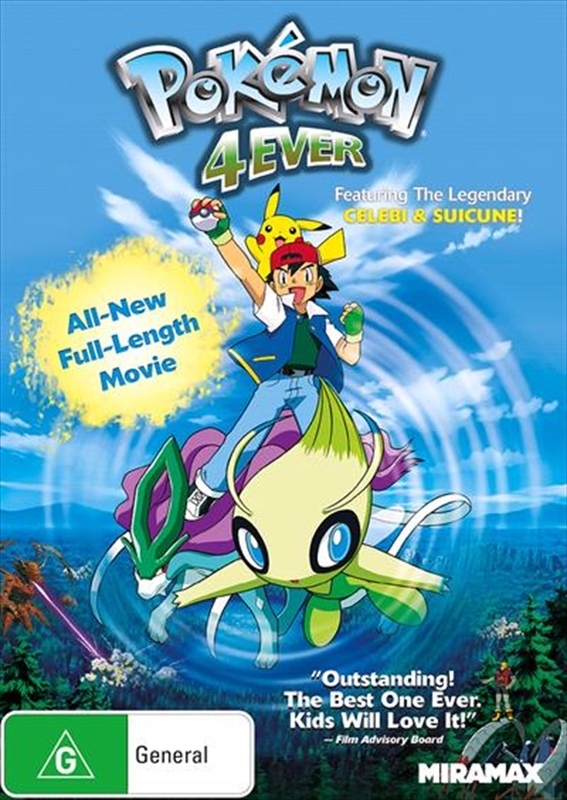 In the present day, Ash and friends arrive in the forest, and while the story of Sammy and Celebi might seem like just that at first-a story-they find out the truth when both boy and Pokemon turn up again! Though both recover from their harrowing ordeal of forty years past, things aren't necessarily getting better-there are still people looking to capture Celebi! This time it's the Iron Masked Marauder, and his plan might just be the cruelest one yet. He's equipped with Dark Balls, which make any Pokemon captured in them mindlessly obedient and evil. Can Ash, Sammy, Misty, and Brock withstand the power of a possessed Celebi, and restore it to its true self?